Photo credit goes to the above mentioned source. I found two critters that starts with letter Z. First one is the Zebu, it is a domesticated ox having a humped back and long horns and a large dewlap. They are used chiefly as a draft animal in India and east Asia. Below is a photo by Loonie Hoover posted at buffalocreekfarmandcreamery.com. 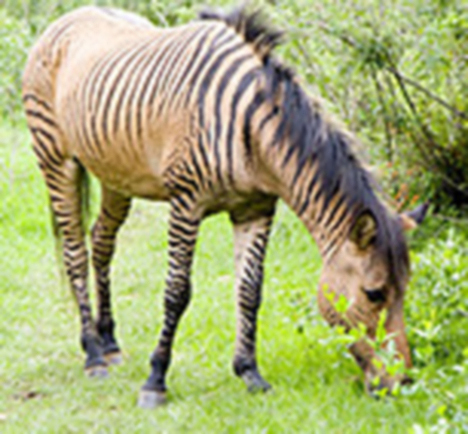 The second Z critter is the Zebrula, a cross between a male zebra and a female horse. Below are photos from Never Ending Story blog. Zebrula is also called Zorse, it is a zebroid, specifically the offspring of a zebra stallion and a horse mare. I was going to include the Zemni, the blind mole rat (Spalax typhlus) which is native of Eastern Europe and Asia but I couldn't find a photo with no copyrights So I scraped the idea. Oh, before I forgot, do you know that mourning dove is also known as Zenaidura? Fascinating post! I've never heard of those animals before and you certainly found some great photos of them! Wow, the white/black creature is really vivid! I find those zebra/horse mixed animals so peculiar. Great pics of the animals! Great find for the z! I have never seen such a bull ! but the horse/zebra I saw in the Antwerp zoo ! great pictures ! You must know the "Song of the Cebu (Zebu)"
I'm with Roger—the horse/zebra IS peculiar—but interesting! Seriously amazing! I've never seen any of those animals. Well, now I think I've seen everything! Great Zs.